This site is home for UBMD Neurology/JNI patients, their family and friends, and all who are interested in knowing more about neurological disease, our clinicians and researchers, and how to help advance the management and treatment of these diseases. UBMD Neurology is made up of a preeminent team of neurologists and other health care professionals who are part of the UB Dept. of Neurology. They provide comprehensive care for patients with neurological disorders. UBMD Neurology integrates innovative, compassionate patient care with interdisciplinary neurological research. 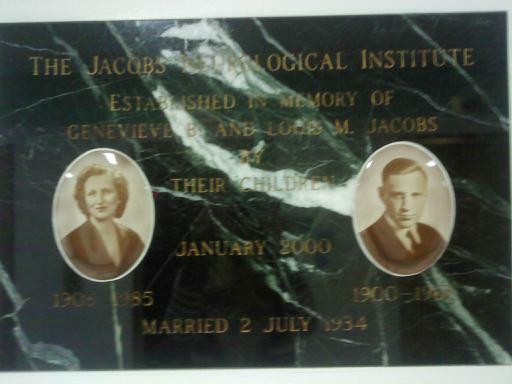 UBMD Neurology is also known as the The Jacobs Neurological Institute. The Institute’s name honors the memory of Genevieve B. & Louis M. Jacobs. Their son, the late Dr. Larry D. Jacobs, was Chairman of the Department of Neurology and a neurologist known all over the world for his pioneering work in multiple sclerosis and for his compassion as a clinician.